It’s the beginning of autumn and the weather in Spain is just perfect for travelling. 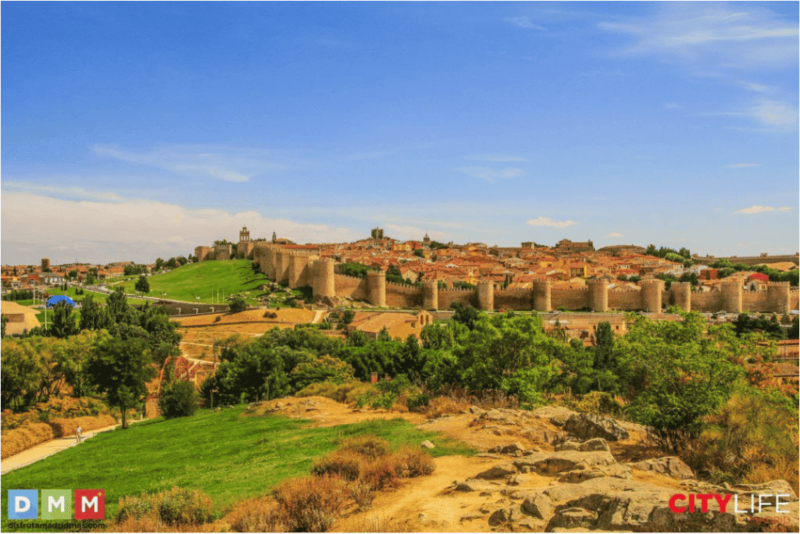 It also happens to be the day Citylife takes off from Madrid for a journey that will take us to Ávila and Salamanca, two of the cities with the most beautiful urban landscapes. Today we all look forward to seeing what Spain has to offer! 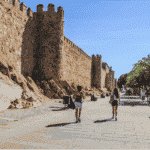 Ávila, one of the oldest cities in Spain is set to be our first stop. The narrow and winding streets, the Roman architecture, grand palaces and old Gothic cathedrals are all encircled by the massive walls of Ávila. The capital of Castile-Leon has everything that a new-traveler to Spain would want to see. Besides the walls, it was the smaller places with an interesting history that intrigued us the most. We found out that the city is the birthplace of Saint Teresa of Jesus and that’s why it has a large number of religious buildings. The churches, shops, palaces and the tiny streets helped us to imagine how was life in Ávila centuries ago. Before we continued our journey we stopped for a moment to enjoy the gorgeous view of the wall and the hills of Ávila. The history that radiates from every building, its long list of famous religious personages, the traditions and perhaps the mix of old and new made Ávila a great first stop on our journey. 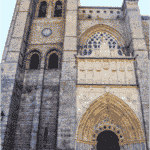 For our second stop, we arrived in the region known as “Castilla y León”. 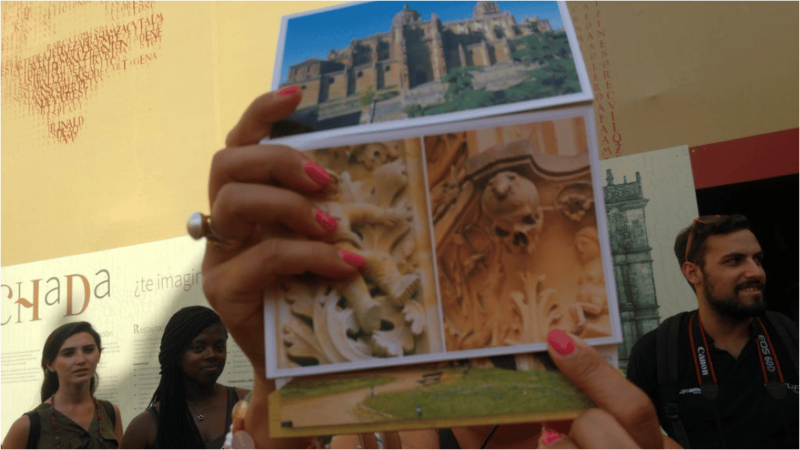 Thanks to our guide, we had the pleasure to discover the story of Salamanca, the famous student city. It’s first name was “Helmantika” which means “The best place to live in”. Salamanca is also well known in Spain as “the Golden City” or ” La Ciudad Dorada”. If you wonder why, that’s because the sun changes the grey color of the stones into a golden one. 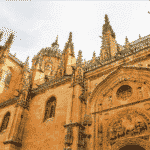 Salamanca can be considered one of the most beautiful Spanish cities, well known for its student atmosphere. 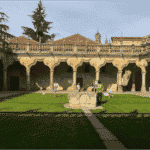 The University of Salamanca, founded in 1218, is the third oldest university in Europe, after Bologna and Sorbonne. Students will talk both Spanish and English but Salmanca is the place where the “purest” Spanish (or “Castellano”) is spoken. 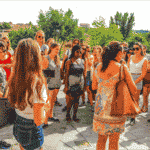 This makes the city such a popular destination for students wanting to learn Spanish. The frog is a symbol of Salamanca and is said to be bring good luck. What we noticed was the abundance of frog t-shirts, mugs, pretty much every tourist souvenir. Below you see a brief overview of the story behind the frog and why it’s supposed to bring you luck. Another symbol of the city is Plaza Mayor, one of the city’s most beautiful squares. Much of the day and nightlife of Salamanca takes place here. It’s also the place where you can find small boutiques or can get a full meal at a restaurant in the evening and enjoy the musical groups, called “Tunas,” who play in the outside seating areas of the restaurants! If you want to see all the pictures from this trip check here! 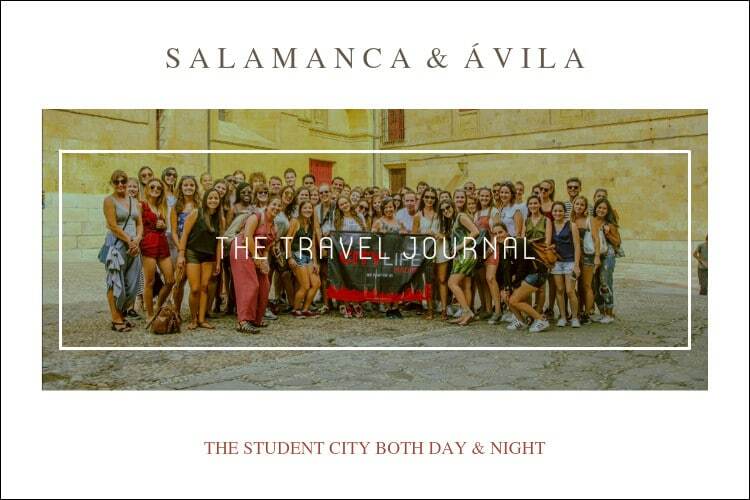 Thank you all for travelling with Citylife to Salamanca & Ávila!